Cashflow is King: Probably the most important thing for a successful property investors is to have properties that deliver positive cashflow after all tax, costs and maintenance. With high asset prices post the 2010 housing mini-boom this has become increasingly difficult – particularly with the draconian tax on buy-to-let landlords that first Gordon Brown then Osbourne then Hammond instigated. These days buy-to-let landlords have to be very efficient and effective – compliant to the masses of new regulations and maximising rents at the same time. To be profitable this has forced buy-to-let landlords to either sell up (because individual houses let out are not economic after tax) or let properties out per room or knock larger properties into small f lats. 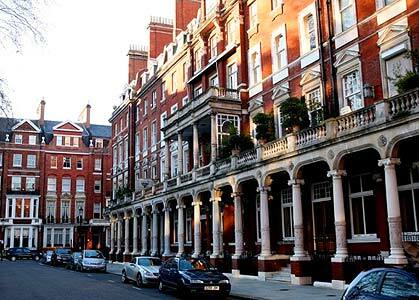 In essence, having more tenants in less properties – but always complying with the regulations and laws. In October 2018 new laws came in to limit the amount of people in certain room sizes – and there is now a minimum legal room size one can let to tenants. All these regulations are mine-field and many buy-to-let landlords have already exited. The one that remain are exposed to these regulations and compliance issues – so have to be gemmed up on all angles to make sure of 100% compliance. This also goes to HMO licencing, fire alarms-protection and minimum requirements. As buy-to-let landlords have excited this has put a further squeeze on rental supply and rents in many areas – particularly London – have risen sharply. Of course the tax on landlords will then get translated into a tax on tenants – the likely unintended consequence of these taxes. As they say – if an investment or business is making a lot – an accountant would say t his is not a business or going concern – instead it’s a liability. So rule number one must be to make a positive cashflow particularly when asset prices (or house prices in other words) or not rising. Gone ar the days that you could buy a property – see house prices skyrocket and not mind much about making an annual loss – or negative rental yield – because your net worth is rising so sharply. Strong cashflow makes you almost immune from worrying about house prices. Its more health business-wise to be focussed on cashflow. Capital Value Increase: That said - another of the keys to successful property investing is to find the right area to invest in – where asset prices are rising. Investors are normally looking for good capital value increases along with strong yields. For buy-to-let property investors, this means house or flat prices rising with good rental demand – translating into high rental prices, short void periods and good quality tenants. Confluence: When one gets a confluence of all of these things coming together – then the area is probably a good place to invest in. · Secure property – many tenants, particularly women, prefer to live on the first or second floor of a property – because this is more secure against burglary. Men often prefer to be on the ground floor or top floor. Men and women both like some outdoor space – either a deck, private balcony or small yard-garden, preferably facing south, west or south-west to catch the evening sun. · Age of property – most wealthy tenants like to live in historic Victorian properties that are more considered more prestigious than properties built 1920 to 2000. 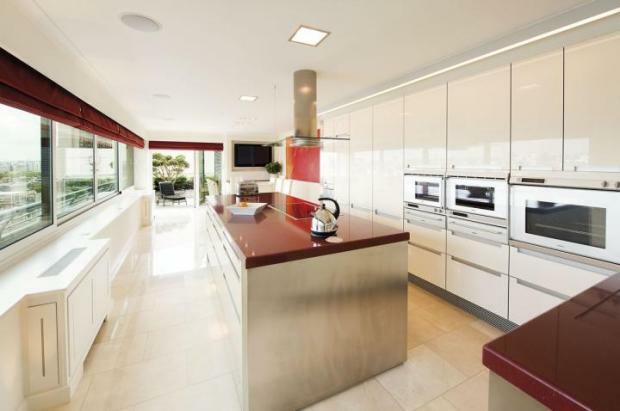 However, some nationalities like the Germans prefer new spacious properties with very clean modern furnishing. Tenants: So if you are looking for a female wealthy British tenant or future sales target for example, you would be looking for a one bedroom flat on a quiet well lit road, less than 5 minutes from a tube station, in a first floor Victorian flat with stairs to a small back yard or a balcony. Check List Analysis: You can use the above as a check-list – mark off each f lat – so you can compare flats. You will be surprized when you divide the area by the price, how much you get in one flat versus the next. If you are really keen, you can look at the overall volume by multiplying the height by the area for another comparison. You can also look at the area of a garden, desk or balcony as another criteria. Ideally a house would have a balcony, garden and deck – a variety of leisure spaces adds value. If you have a large garden therefore, if you add a nice wooden south facing deck it will probably add value. Make Serious Money: So if you go for the smoke stained repossessed property with graffiti-rubbish close by that needs renovation - the price could be 30-40% less than similar properties close by. What you can immediately do is decorate the property, make completely clean-fresh then move all rubbish and remove graffiti – then remarket immediately at a far higher price. If you put in a new bathroom and kitchen – then take up old carpets and sand the floors if the floorboards are in good condition, you might be able to do a renovation job for as little as £10,000 (of £5,000 if you can build it yourself). Trend Low Cost Renovation: We hope you can see that you could transform what looks like a grotty smelly smoke stained Victorian flat for say £180,000 in a place like Lewisham or Forest Gate into what looks like quite a trendy Victorian flat with bright white décor and nice shiny wooden floors worth something like £260,000 just by spending £10,000 and putting some serious effort into it. Loft: If you can add stairs and a loft conversion, then you could add 35% to the value of a one bedroom flat, or say 20% to a house. Basement: Be careful with basement conversions, since generally the property needs to be worth about £400,000 before its worth digging out a basement, since most simple basement digging operations will cost about £125,000 for a typical London Victorian terrace house. If the ceilings are already say 5ft high, then the costs could drop to something like £75,000 which makes such a project more economically attractive, This is the key reason why most basement conversions occur in properties of value over £1.2 million – because if two floors and a loft are selling for £1.2 million, you can see that each floor is worth about £360,000 and if you can dig out a basement for £125,000 then the flat is worth say £330,000 it makes economic sense. 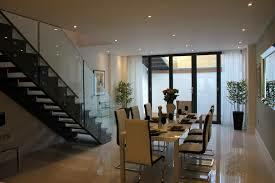 Hence you will see many basement conversions in Fulham and Kensington, but very few in New Cross and Bexley. In places like Forest Gate, where a basement flat might only be worth £220,000 – its hardly worth the risk of converting the basement in a house, particularly as it’s time consuming, risky, a hassle, the Council and Planning Officers will be crawling all over you and the cost is about £125,000. London Positive Change: Many of the best property investment opportunities are in London, only because frankly that is where most of the new developments and improvements are. Once Brexit is out of the way, London will likely see prices rise the sharpest. There have been a few exceptions though, which are pretty easy to recognise. Earls Court: There is a massive development going on around the old Earls Court Exhibition Centre, some £3 billion worth. The areas around this will benefit hugely once ist finished in a few years time. The enclave just NE of the West Brompton station is a good location – just on the fringe of the very grand Earls Court and Kensington stucco terraces – also with excellent communication via Earls Court (multiple tubes) and West Brompton (Overground). 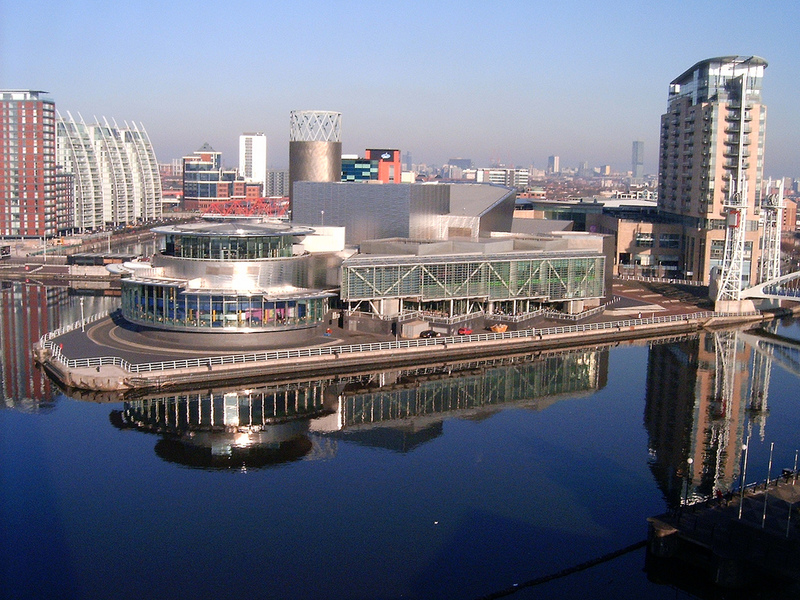 Salford Manchester – when the BBC announced they were moving a large part of their institution to Salford 6 years ago, it was bound to drive prices higher and help regeneration. Many of the people at the BBC are paid well in excess of £300,000 salary a year, so this has been a huge benefit to the Salford and West Manchester economy and has attracted business growth providing services to the BBC and its huge numbers of high paid employees and consultants. Salford property prices have risen higher than anywhere else outside SE England and it’s been quite predictable and not a surprise – the trick is to find areas close to Salford that will see the ripple effect moving through over the years as this Arts/Tech hub expands and more wealthy young people mov e in. 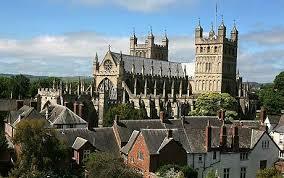 Exeter Devon – when the Met Office announced they were moving to sleepy Exeter about 15 years ago, this would be a trigger for property investors to pile into Exeter since it would certainly help regeneration and business. Exeter property price have boomed off the back of many high paid Met Office jobs and people’s realisation that the quality of like in Exeter with the sea at Exmouth/Sidmouth Exe Estuary boating and Dawlish close by, plus good schools, has attracted many rich Londoners into the area and driven up prices still further. Longer term – wealth Londoner will be retiring to the Exeter area since it is in the heart of the West Country, fairly fast train to London and excellent boating along the south of the country – places like Salcombe and Dartmouth. 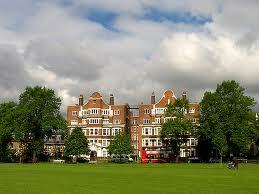 Chiswick Park - The trick is to identify and act on the next Met Office or BBC type office move. 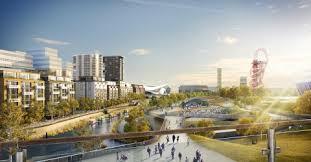 An example close to London is Chiswick Park which is a giant new business park with 15,000+ well paid employees that has sprung up near Gunnersbury tube and the Overground station – building was finalised in 2018. Clearly any one bedroom flat for rent in this area will not find any problem being let out at a high rent, since very few properties are being built in the area, but huge amounts of new jobs are being created. This means all the bankers will start moving into Victorian terrace houses in Acton and Ealing – and the prices should rise sharply. Ealing for instance might eventually be favoured over more difficult to get to areas like Clapham and Wandsworth. Farringdon: Just a mention about Farringdon. There’s a new Crossrail station being built that will be right in the ce ntral of the City of London’s financial district. This station already has some pretty good tube links. But it also has some brilliant rail links north to Bedford (Luton Airport) and south to Brighton (Gatwick Airport). So for the really picky and lazy super rich banker or hedge fund manager that wants the ideal bolt hole in London during the week – they might well want to live in Farringdon which will have easy no rail change access to Heathrow, Luton, Gatwick and the West End (leisure) whilst being a 5 minute walk to work in the City. St Pancras and Eurostar is only just up the road. 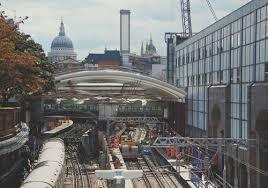 Farringdon will become the centre for people that like fast rail all around the South East of England. Bedford to Brighton or Thameslink is the only rail service that passes right through London – until Crossrail is built – and these two services meet at Farringdon. So don’t be surprized to see massive new luxury developments springing up around Farringdon. If you want to buy a once bedroom Victorian flat in need of renovation within 2 mins of the station, it’s difficult to see how the strategy would not be a very good one. Soho: It has to be one of the best places to live on earth – it’s so central – most areas of interest are within walking distance or a short cycle or tube trip. As the world’s population expan ds prime areas like Soho will only get more popular with the wealthy super-rich international set. The nightlife is also super – but its important if you buy a property in Soho you try and chose a quiet side street rather than the very noisy main thoroughfares. Population: Before investing in an area, its worth considering the projected population growth. If there is a fast growing population, and you cannot envisage much building, then property prices will rise. An example is London of course – where the population is growing by about 120,000 people a year – but only 30,000 new properties – almost all luxury flats – are being built. It does not take a rocket scientist to predict a shortage of supply and high demand meaning prices rising. We predicted this 9 years ago when PropertyInvesting.net started – please refer to our early Special Reports. Conversely in a place like NW Scotland, there is very little inward migration, an aging population, many properties lie empty, it’s not difficult to build because land is not in short supply and the population is in terminal decline. It’s difficult to see prices rising sharply in such an environment, regardless of whether the Scots vote yes or no in the Referendum on 18 Sept. Younger: Areas with younger populations like Newham and Clapham will generally see populations rise faster than other areas because many kids are being born and there is a lot of inward migration from overseas. In Clapham in particularly, there is very little building going on, so prices are likely to rise as wealthy young families expand, many of them very well educated Europeans. They don’t call it “Nappy Valley” for nothing. Tech City: Another example of this type of growth is Shoreditch (or Tech City, Old Street, Silicon Ro undabout). Many very young entrepreneurs are moving in – setting up high-tech start-ups. These same people are often called hipsters. Many of these future millionaires will want to stay living in this area and will drive the price of family houses nearby upwards in years to come – they will all start having kids in 5 year’s time. You can see the start of this in Hackney, Shoreditch and Dalston as these areas are becoming rapidly gentrified. Longer term, anywhere close to Shoreditch or Whitechapel (new Crossrail Station) is probably a winner – simply because so much worldwide talent coming to live in this area is bound to have a positive long term effect as their businesses expand.